There are literally hundreds of Cages for sale on the internet today and choosing the right one for you pet is no mean feat. But getting the right balance between comfort and giving your little pet a stimulating, adventurous and safe environment needs a lot of thought to ensure you beloved pet Hamster has a happy, healthy life with you. Do you have a pet Hamster.? Are you a modern modular habitat or Old School DIY cage..? 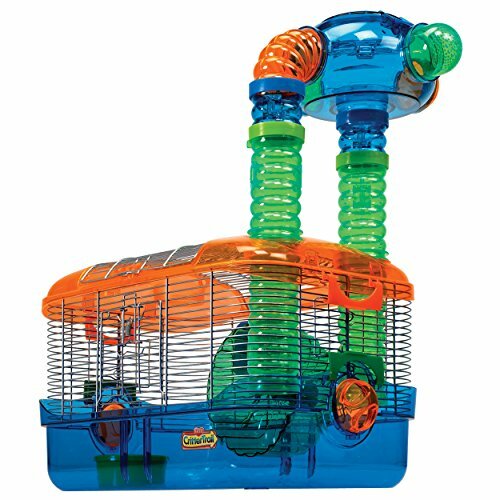 What is the minimum you will need when choosing the best Hamster cage for sale. Always remember your pet Hamster will grow up and want to explore more and more new environments to keep him happy and healthy. He will want to build stuff and make himself a little home and a den. That being the case, it is extremely important to give him a stimulating place to live, play and explore. There a a few manufacturers who now sell modular, universal rodent cages that enable you to change the living environment and add to it by extending the whole layout and generally offering your little pet a more stimulating place to live. 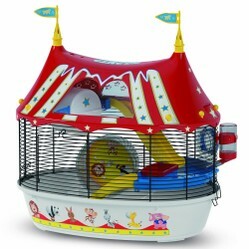 In my opinion the Hamster Cages shown below are by far the best kind of habitat on sale today. They offer a basic cage setup that can be extended to give different areas on different levels. There are runs and connecting routes that are just right for when your Hamster has a mad moment and goes for a run around. There are even toys and accessories to keep him fit and active. So what's a good Hamster Cage.? In my experience I would always recommend extendible habitats and CrittaTrial makes great equipment that the little fellow will love. 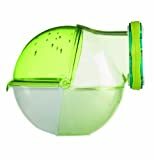 It's very easy to put it all together and safe for your Hamster to run around in. The best part is you don't have to buy it all at once and you can change the layout whenever you want to help prevent him getting bored. 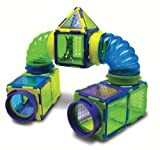 With modular habitats I find it's very easy to keep you Hamster amused, interested and happy in his surroundings as there are some great accessories to add to his general home layout that will give him hours of fun exploring the different bits you add on. It's always amusing watching them when you add some new cage accessory especially if it's exercise equipment - they are really funny with new stuff..! 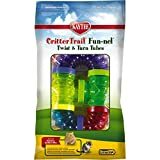 CrittaTrail do some really cool special add-ons wothin their cage range that can make your life easier as well. I like the Super Pet Potty.. Yes, really, a potty for your Hamster. They will use it and it will save you time when cleaning out. I actually have three of these - one in use, one in soak being washed and the third all ready and waiting for a quick change when needed - they are not hugely expensive and well worth the time you save when investing in three potties..
You aint seen nothing yet..! Check out these great Hamster Cage set ups. Do you like these Hamster Habitat's.? Would you like to have your Hamster live in such splendour and excitement...!? Yes please, he would love it.. It's your job to give them a good, clean interesting place to live - that will keep your Hamster happy..
For more information on Hamster care and all their requirements click here to go to my Golden Hamster Care page. 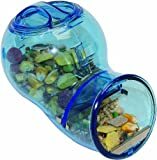 There are tips and advice along with some great Hamster products.